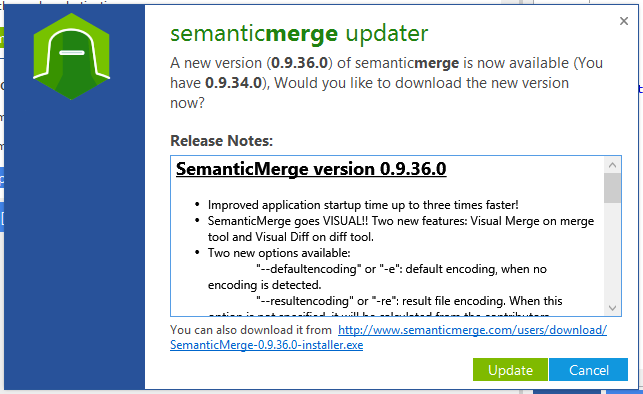 We have published a new version of SemanticMerge which solves the top concern for most users: startup speed. 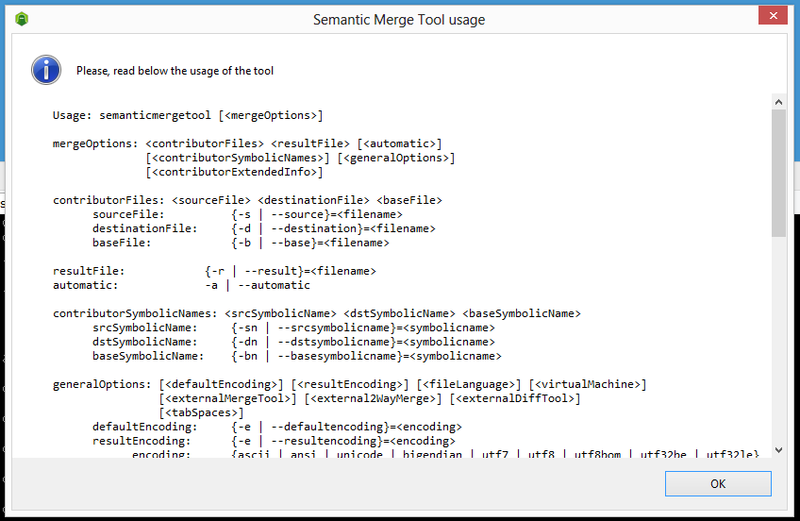 With 0.9.36 SemanticMerge is able to start up more than 3 times faster than the previous versions, which means it is able to be up and running in less than half a second on any two years old or newer laptop. In my case, as you can see, I was upgrading from 0.9.34 (two releases!). It will take just a few seconds to download all the new binaries and then you will be ready to check the new release. The first time you launch the new version it will take longer to launch (.net binaries getting ready) but after every launch will be well beyond the 0.5 secs threshold. Ok, we made some improvements on the startup time in previous releases but this time we made some serious refactors: reduced the number of involved assemblies (greatly improved the load time) and the general load path in the WPF gui (which turned out to be slower than the GTK-Linux counterpart until this release). We were very concerned because the semanticmerge user survey results pointed out that startup speed was one of the primary concerns. It should be fixed now!